Having not been born in Edinburgh but having gravitated here at the turn of the last decade, I don’t really have the same sort of Edinburgh vs. Glasgow rivalry that many of those born in either city seem to have. I do rankle, though, when people treat the Edinburgh music scene as second-rate to Glasgow. It’s not just unfair, it’s untrue. They list their influences as including Arcade Fire, Peter Green, alt-j, Edward Sharpe and the Magnetic Zeros. 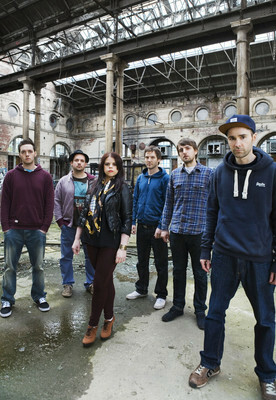 Their album launch gig will take place in Edinburgh at The Caves on April 18. 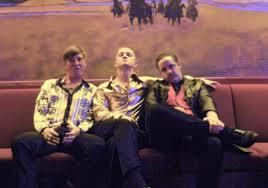 Described recently by The Guardian as ‘a band so exciting I couldn’t sleep’ Glasgow 3 piece the Amazing Snakeheads are Jordon (Drums), William (Bass) and Dale (vocals and guitars). Now when a band starts getting bigged up this much there’s always the risk that the hype can spoil it BUT the word is that The Amazing Snakeheads might actually be worth the hype. They’re shortly to release their debut album Amphetamine Ballads on Domino (hope to other 17 Seconds faves like Stephen Malkmus, Franz Ferdinand and Arctic Monkeys) and you know things are moving in the right direction when you’ve heard the band several times on day time radio. That song is ‘Here It Comes Again’ which fizzes along with an impressive amount of urgency, and makes you stop what you’re doping to jump around. Even more impressive when you’re the wrong side of 35. 6. Where Is My Knife? Amphetamine Ballads is released by Domino on April 14. Super Furry Animals have now been on hiatus for five years, but in that time they have been working on various projects. 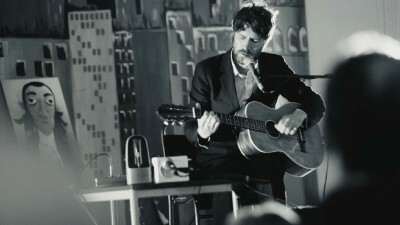 Not least singer Gruff Rhys who has recorded under both his own name and as half as Neon Neon. He’s just about to release his fourth solo album, American Interior. According to the press release ‘American Interior is a unique project… blurring the boundaries and possibilities of songwriting, music, literature, film and technology to create a multisensory experience telling the incredible true story of John Evans, a twenty-two-year-old farmhand from Snowdonia, Wales, who travelled to America in search of a Welsh-speaking Native American tribe – The Madogwys – still walking the Great Plains. Lenzie Moss is Finlay MacDonald, a former member of both Teenage Fanclub and BMX Bandits. Reportedly he sees his music as more Gregory’s Girl than Trainspotting, which might be a very good way of describing his forthcoming single ‘Let’s Take The Day Off’ (****) which is -and this is definitely meant as a compliment – very much in the vein of both of the aforementioned bands. Having released his debut album Introducing Lenzie Moss in 2012, his sophomore album will be released this September. For now, turn this up – we’re starting to see signs of Spring here in Scotland, and as ever, it all needs a soundtrack. Why not Lenzie Moss? ‘Let’s Take The Day Off’ is released via bandcamp on March 31. 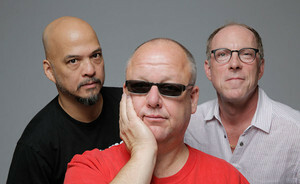 A mere 23 years since their last and fifth album Trompe Le Monde, The Pixies are going to release their sixth studio album on April 28. It’s entitled Indie Cindy. Of course, how much of a studio album this is might depend on your own personal viewpoint. The album consists of the three Eps that the band have released over the last year, entitled EP1, EP2 and erm, EP3. It is, of course, worth bearing in mind that The Beta Band’s The 3 EPs was exactly that, and Japanese Whispers by The Cure was three singles and their attendant b-sides. The EPs have either been available as downloads or very limited copies from the band’s website, so this is the first time that they’ve been properly available. * available at pixiesmusic.com, a special deluxe, limited edition (3,000) two-disc set (available as a CD and as a deluxe gatefold album pressed on 180-gram vinyl) that includes the 13-track live disc. This deluxe package also includes a 40-page, hard-back book that features the new artwork produced exclusively for Indie Cindy. The CD limited edition is packaged in a special gold-foil hard slipcase. On April 19, a week before the official release date and exclusively for Record Store Day – Pixies will make Indie Cindy available as a special RSD limited edition, two-disc, deluxe gatefold, 180-gram vinyl set, only from independent record stores participating in RSD around the world. When these are gone, they’re gone. It’s great to see that Stanley Odd’s profile continues to rise. They will release a new 4 track EP at the end of April entitled Chase Yirsel. That’s Scots, not a spelling mistake, by the way. Ahead of that, to celebrate Record Store Day, they have announced the release of a special limited edition 12″ single featuring brand new tracks ‘Chase Yirsel’ and ‘Let Ma Brain Breathe’, with artwork illustrated by Scott Hutchison of Frightened Rabbit fame. 500 copies of the single will be made available through participating indie record stores on Saturday 19th April. The band will also be performing instore at Love Music in Glasgow and VoxBox in Edinburgh on the day as well as signing copies of the release. Check out ‘Let Ma Brain Breathe’ below. The singer-songwriter died tragically in 2000, but her twenty year music career was absolutely brilliant. And whilst she’s best known for ‘Fairytale of New York’ and her cover of The Kinks’ ‘Days’ and Billy Bragg’s ‘A New England’ there’s much more to discover. A new compilation called All I Ever Wanted: The Anthology is out on April 7 (tracklisting here), which gives me an opportunity to post some videos of her. This was her first hit, ‘There’s A Guy Works Down The Chip Shop Swears He’s Elvis.’ A novelty hit? Maybe, but what fun, and a gem in her hands. I remember hearing the 12″ version of ‘Terry’ when I worked in HMV in 2002 on a various artists compilation, I honestly think this is superior to the original version and I’m glad it’s on the album. The last album she released before she died, 2000’s Tropical Brainstorm is an excellent record which I bought on it release and showed her love affair with South American msuic. It also showed her way with a witty and acerbic lyric. ‘England 2 Columbia 0’ is the outstanding track on the album. All I Ever Wanted: The Anthology is released by Salvo on April 7. I still blush to recall that I wrote The Horrors off when I first heard them. 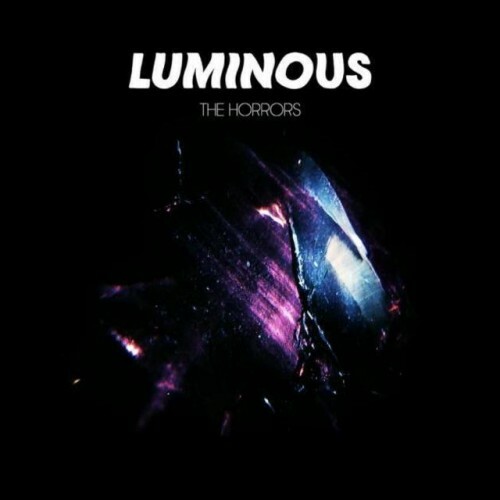 Still, eight years on they are still here, and about to release their long-awaited fourth album, Luminous. Due to hit the shops at the beginning of May, it was said that the latest Horrors album would have more of an electronic feel than previous releases. On the basis of the two tracks that they’ve made available to stream (see below) that’s quite true, but by the same token, they certainly still sound like the Horrors, and there’s lots of the gloriously noisy psychedelia on display that made people fall for them in the first place. I’ve said it before, I’ll say it again, due to the sheer amount of submissions in my inbox, it can be a matter of luck whether or not I’ll hear stuff that lands in my inbox. And actually, a bit of mystique rather than hyperbole is far more likely to encourage me to write about stuff. The email stated simply ‘self produced ‘Forever Holding On’ is the first single taken from my debut EP Closer | Closure. It’s mixed by the guy behind Faithless, and mastered by the guy behind James Blake. For fans of The Postal Service, James Blake, and The Weeknd.’ No more information is given. I got an email today from Andrew Eaton-Lewis, who performs as Seafieldroad and also as one half of Swimmer One. Ironically, for someone who until recently was a journalist for the Scotsman, he was the very first person I interviewed for this blog. Having released a rather fine album as Seafieldroad back in 2010 (read the review here), he’s due to release his next album The Winter of 88 this October. Between now and then there’s quite a few things happening in Scotland which will see people’s eyes on this fair country, not least the Commonwealth Games and the Scottish Independence referendum. In his email, he spoke of how his stance on how he was going to vote in the referendum has changed, and his surprise that not many people were writing songs about it.